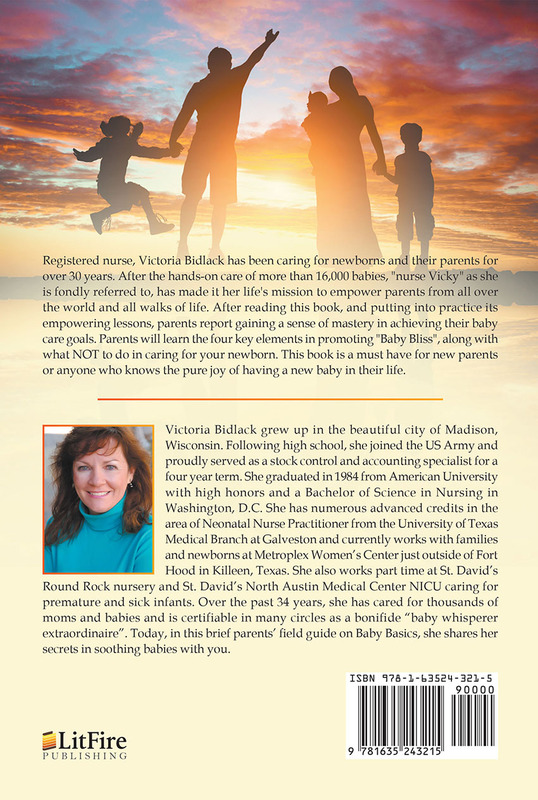 Registered nurse, Victoria Bidlack has been caring for newborns and their parents for over 30 years. After the hands-on care of more than 16,000 babies, “nurse Vicky” as she is fondly referred to, has made it her life's mission to empower parents from all over the world and all walks of life. After reading this book, and putting into practice its empowering lessons, parents report gaining a sense of mastery in achieving their baby care goals. Parents will learn the four key elements in promoting “Baby Bliss”, along with what NOT to do in caring for your newborn. 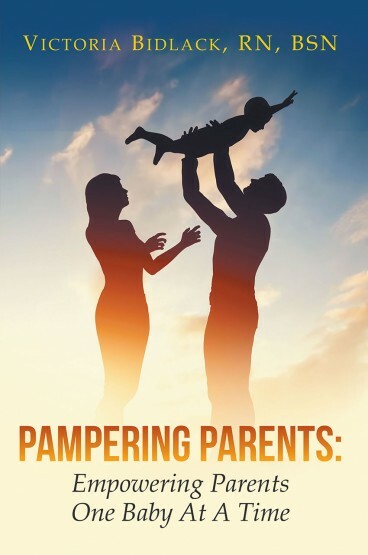 This book is a must have for new parents or anyone who knows the pure joy of having a new baby in their life.